This year's Design + Construction Week was one of the biggest collaborations in recent years with KBIS (Kitchen & Bath Industry Show) and IBS (International Builders Show). From January 10th-12th, the design and building communities gathered at the Orange County Convention Center in Orlando, Florida, for three days of networking, product scouting, seminars, celebrity sightings, and of course the mandatory cocktail parties and events (at least mandatory to our group). 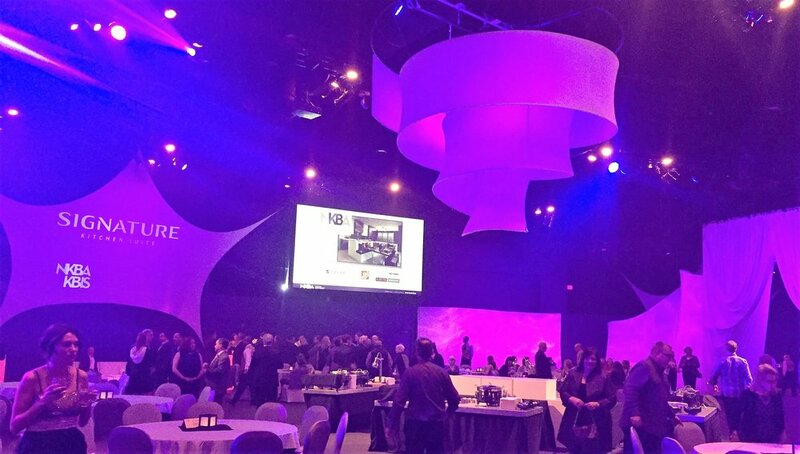 There was a lot of buzz during the IBS and KBIS Opening Ceremony with guest speaker Peyton Manning, KBIS kick-off event with Champagne + Cupcakes, and IBS closing concert with Little Big Town. 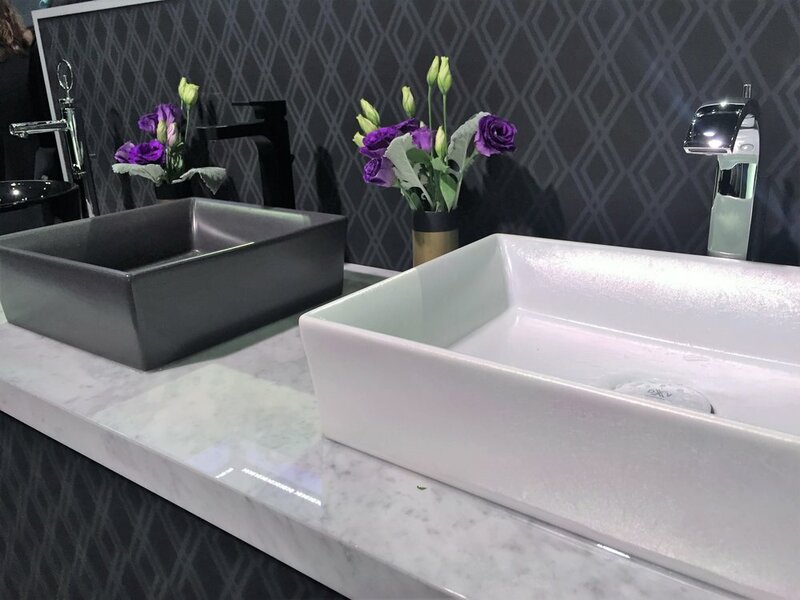 In regards to the countertop and cabinet industry, there were many trends that flowed over to 2017....white on white is still hot in most markets but the addition of greys and darker contrasts were apparent in almost every display we visited. 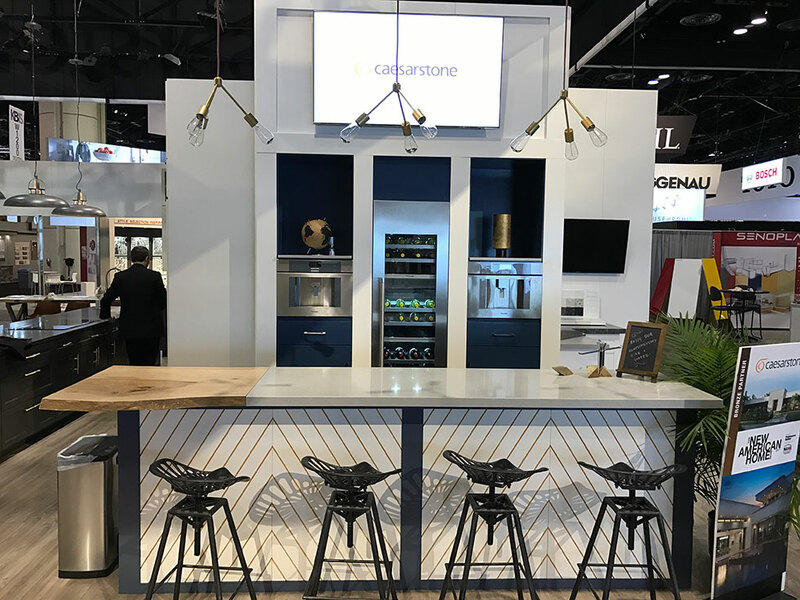 Quartz is still king for countertop materials with manufacturers using this show to unveil new colors, finishes, and dealer programs. But don't count out solid surface as a material choice. With the bath being one of the most requested rooms for remodeling in 2016, we see many homeowners selecting solid surface for shower walls, tub deck cladding, custom shower pans, and countertops for its ease of cleaning and very low maintenance. Cabinet storage options were plentiful this year: durable cabinet storage for your heavy pots and pans, lightweight pull down storage for upper cabinets, and more customizable possibilities for the bath space. One of the traditions of Design + Construction Week is the tour of the New American Home. Show participants are taken by bus to a residential location to tour a new modern house and see many of the products of the show in a real application. This home was an entertainment hub with an open concept floorplan that can easily be reconfigured by closing off huge glass sliding doors. 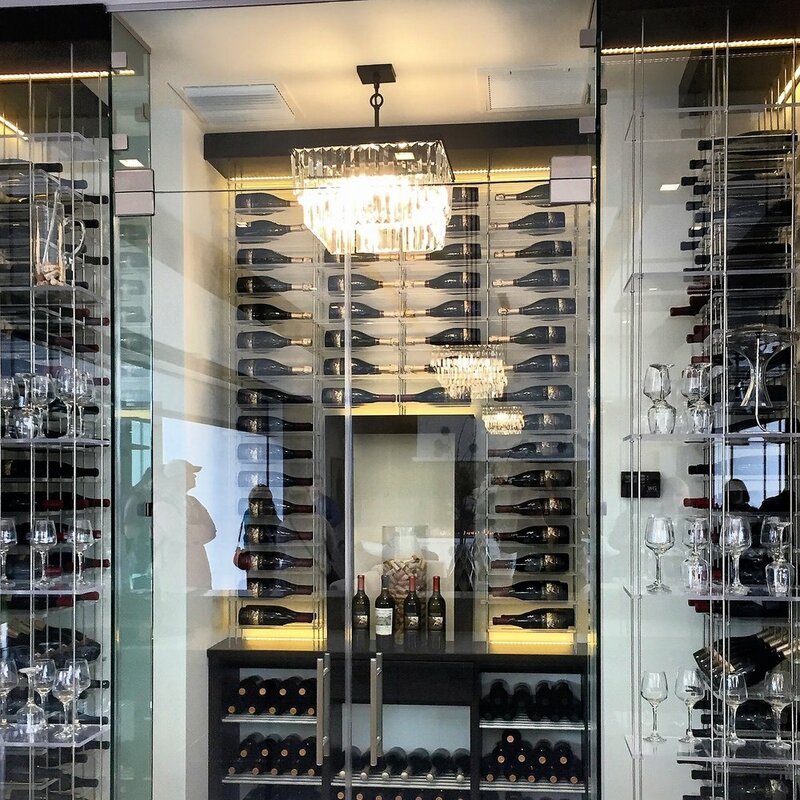 Modern game room, upper lounging deck, smart kitchen storage to minimize clutter, and of course the glass wine house/bar area for endless entertaining. To view the 3D and virtual reality walk through tour of the New American Home, visit www.PRTNARH.com.